Science traditionally is taught as a linear process based on logic and carried out by objective researchers following the scientific method. Practice of science is a far more nuanced enterprise, one in which intuition and passion become just as important as objectivity and logic. Whether the activity is committing to study a particular research problem, drawing conclusions about a hypothesis under investigation, choosing whether to count results as data or experimental noise, or deciding what information to present in a research paper, ethical challenges inevitably will arise because of the ambiguities inherent in practice. Unless these ambiguities are acknowledged and their sources understood explicitly, responsible conduct of science education will not adequately prepare the individuals receiving the training for the kinds of decisions essential to research integrity that they will have to make as scientists. Thanks to Mark Frankel, Kenneth Pimple, William Snell and Thomas Mayo for their helpful comments and suggestions regarding this essay. 2nd World Conference on Research Integrity. (2010). Singapore statement on research integrity, from http://www.singaporestatement.org/statement.html. American Society of Biochemistry and Molecular Biology. (1998). Code of ethics, from http://ethics.iit.edu/ecodes/node/3898. Manoharan, J. (2011, 04/22/2011). 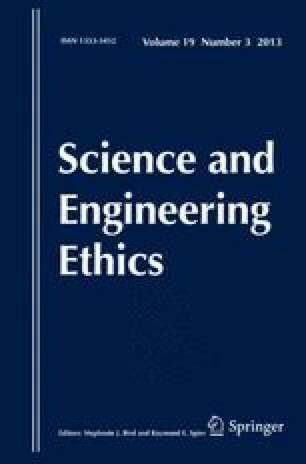 Scientific misconduct starts early, from http://www.biotechniques.com/news/Scientific-misconduct-starts-early/biotechniques-314589.html. National Institutes of Health. (2011). Update on the requirement for instruction in the responsible conduct of research, from http://grants.nih.gov/grants/guide/notice-files/NOT-OD-10-019.html. National Science Foundation. (2010). Chapter IV—grantee standards; Part B. Responsible Conduct of Research (RCR), from http://www.nsf.gov/pubs/policydocs/pappguide/nsf10_1/aag_4.jsp. Plato. (380 B.C.E.). Meno 80 d-e, from http://classics.mit.edu/Plato/meno.html. The National Academies. (2003). Policy on committee composition and balance and conflicts of interest for committees used in the development of reports (May 12, 2003), from http://www.nationalacademies.org/coi/bi-coi_form-0.pdf. U.S. Department of Health and Human Services. (1989). Requirement for programs on the responsible conduct of research in national research service award institutional training programs, from http://grants.nih.gov/grants/guide/historical/1989_12_22_Vol_18_No_45.pdf.